Initially Supcoin (SUP) was only mineable on CPU, though quickly an Nvidia GPUminer was released and now we also have an AMD GPU miner available all thanks to djm34. The initial release is only in the form of a binary for Windows, no source code available yet, and the miner may have some issues with the Pluck algorithm, but these will most likely be resolved in the next few days. 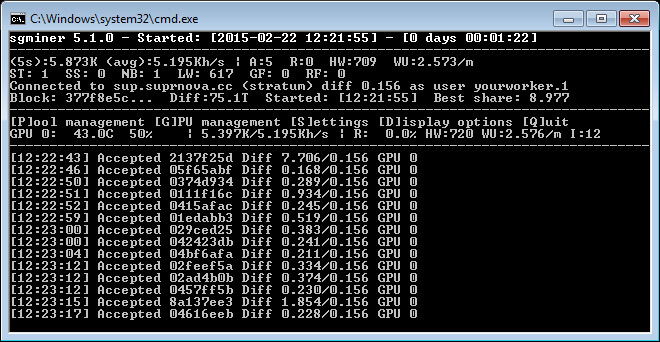 We have tested the sgminer fork for AMD OpenCL GPUs on a Radeon R9 280X and the results were a little over 5 KH/s on a non-overclocked video card, so the performance is quite good compared to what the Nvidia miner provides at this moment. The binary has been updated, so now you should get even higher hashrate and less problems, so if you have downloaded the initial version please redownload the new one below. 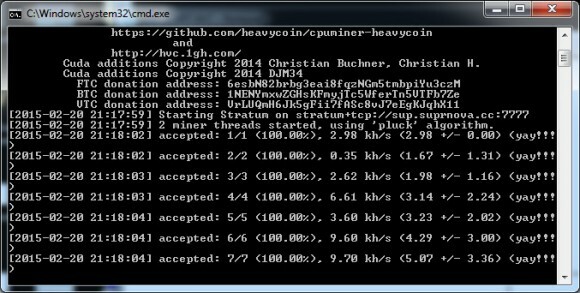 Supcoin (SUP) is a new alternative crypto currency that was just launched using a new algorithm called Pluck that is SHA256-based with more load on the memory and was supposed to initially be mined with CPU only, but we saw a very quick release of a ccMiner fork that added GPU mining support for Nvidia from djm34. The coin has a relatively small pre-mine that will mostly go for bounties and already has a few pools available for mining, though exchanges are not yet available. It is an interesting new project that you might want to check out and there is definitely an interest since you can already even rent hashrate from MiningRigRentals with the new Pluck algorithm. Betarigs has also apparently added the new algo, but there are no mining rigs available to rent there yet. So it is a project that you might want to check out as it might turn out to be an interesting alternative crypto coin.